How can you be sure that the diamond you bought has the quality it was advertised for? This is the mission and purpose of the diamond grading laboratories. They examine and measure the diamonds and provide a certificate that matches internationally agreed standards. 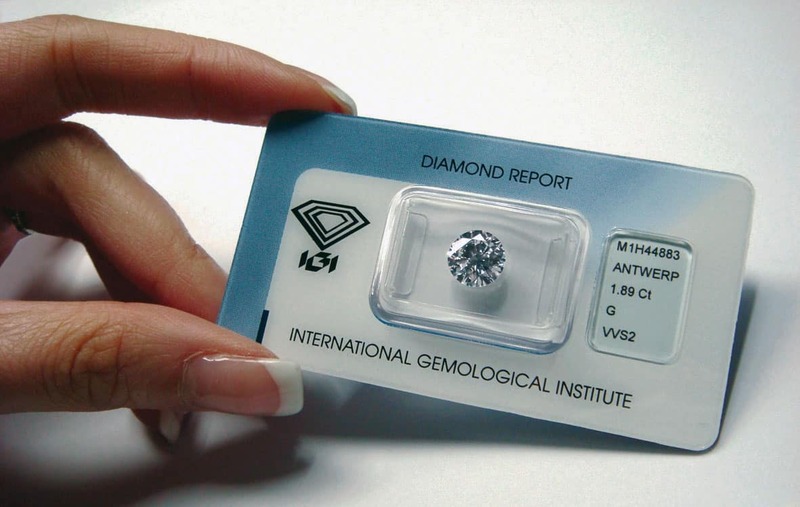 The diamond certificate or diamond passport guarantees and describes the quality for each unique diamond. In the certificate, you will find the values to capture the 4 c's of diamond quality: clarity, color, carat, and cut. 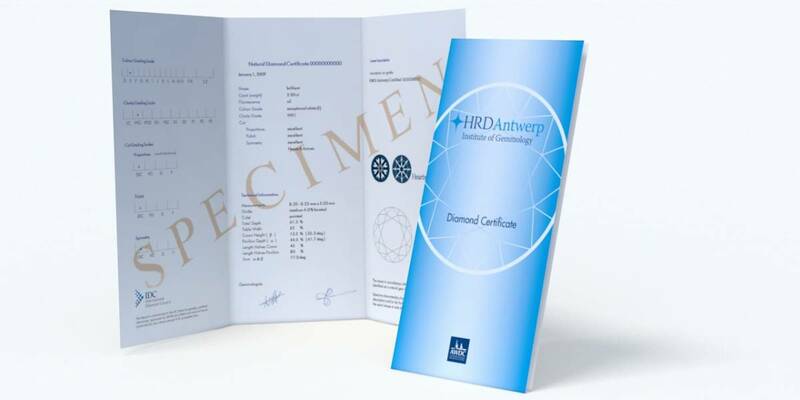 The certificate also allows to identify each unique diamond and can be used in case of theft or loss to prove the diamond ( or engagement ring) is your property. Established in 1931, GIA is the world’s foremost authority on diamonds, colored stones, and pearls. A public benefit, nonprofit institute, GIA is the leading source of knowledge, standards, and education in gems and jewelry. Why do we offer Sealed diamonds ? We did not only select these because they are reputable diamond grading labs but in addition, they provide the diamonds with a certificate and packaged in a sealed container. Sealing guarantees that a given certificate and the corresponding diamond belong together, and it keeps the diamond safe from oil and dirt. The sealing is tamper-proof and will show when opened or tampered with. Although all Diamond Grading Laboratories will inspect diamonds using microscopes at very high magnification ( 40x +) , the actual grading only occurs at 10x magnification, this is why HRD will not grade higher than 'Loupe Clean' ( LC). Other Gemological Institutes ( IGI, GIA etc ), have opted for 'Internally Flawless' ( IF) as their highest grade. Since some diamonds may be slightly 'blemished' on their surfaces ( although this does not really affect the Clarity of the diamond ), GIA has added 'Flawless' to its grading in order to distinguish between the Internally Flawless ( Loupe Clean ) and those who are NOT only IF/LC but also totally 'unblemished'. Once that a diamond is worn or handled, the chances are that it will lose its FL grading, since as soon as a diamond makes contact with any hard object, it will be slightly 'blemished'. As far as Clarity is concerned, IF and LC are the highest. Our diamond education pages help you to understand the 4 C's of diamond quality so you can choose your next diamond wisely.